Dr. Ayanna Howard is a Professor and the Linda J. and Mark C. Smith Endowed Chair in Bioengineering in the School of Electrical and Computer Engineering at the Georgia Institute of Technology. She is also the Associate Chair for Faculty Development in Electrical and Computer Engineering and Director of the Human-Automation Systems Lab. In addition, Ayanna founded and is the Chief Technology Officer of the company Zyrobotics which provides mobile therapy and educational products for children with differing needs. Ayanna completed her undergraduate studies in engineering at Brown University, received her master’s degree and PhD in electrical engineering from the University of Southern California, and earned her MBA from Claremont University, Drucker School of Management. Before joining the faculty at Georgia Tech, she worked as a Senior Robotics Researcher and Deputy Manager in the Office of the Chief Scientist at NASA’s Jet Propulsion Laboratory at the California Institute of Technology. Ayanna has been the recipient of many awards and honors, including the Brown Engineering Alumni Medal, the Computer Research Association A. Nico Habermann Award, the Anita Borg Institute A Richard Newton Educator ABIE Award, The National Society of Black Engineers Janice Lumpkin Educator of the Year Award, the IEEE Early Career Award in Robotics and Automation, the California Women in Business Award for Science and Technology, Engineer of the Year Award from the Los Angeles Council of Engineers and Scientists, the Allstate Insurance Distinguished Honoree for achievement in science, the NASA Space Act Award for Fuzzy Logic Engine for Space Applications, the NASA Space Act Award for Path Planning Graphical User Interface, the NASA Honor Award for Safe Robotic Navigation Task, the NASA Lew Allen Award of Excellence for significant technical contributions, and the Jet Propulsion Laboratory Technology and Applications Program Honor Award. She has also been awarded the Georgia Tech Electrical and Computer Engineering Outreach Award, Faculty Woman of Distinction Award, Class of 1934 Outstanding Interdisciplinary Activities Award, and the Residential Life Cornerstone Award for Outstanding Contributions to the Community. In addition, Ayanna has been named an Honoree of The Root 100 and among the MIT Technology Review Top 100 Young Innovators of the Year. Ayanna joined us for an interview to discuss her life and science. Ayanna likes to exercise and do Zumba in her free time. She has been a certified Zumba instructor now for about eight years, and it has been a fun way to unwind from work. In terms of her research, Ayanna is a roboticist who builds, designs, and programs robots that interact with people in the real world. “Don’t bother just to be better than your contemporaries or predecessors. Try to be better than yourself.” – William Faulkner. The Bionic Woman was one of Ayanna’s role models when she was a kid, and her enthusiasm for robots and superheroes sparked her interest in engineering. She remembers telling people she wanted to be a cybernetics engineer when she grew up, and her parents were very supportive of her fascination with robotics. Ayanna’s first scientific experiment as a kid involved hacking together a computer program to steer a remote control car, and she continued to explore her own creative science projects throughout high school. The first few years of college courses were tough for Ayanna, but she loved being in the lab. She conducted research with faculty at Brown University, and starting sophomore year, Ayanna worked with scientists in the NASA Jet Propulsion Laboratory each summer. In Ayanna’s lab, they developed a robot coach to work with children with motor disabilities. The robotic system underwent exhaustive testing in the lab, and they were thrilled to take it into the field to work with kids. Their very first participant was a child with severe cerebral palsy, and they were excited to bring the robotic coach into the family’s home. When they set everything up and turned it on, the system couldn’t “see” the child. It could identify the research staff, but not the child. This was really embarrassing, and they couldn’t figure out what was wrong. They tried different lighting, rearranged furniture in the family’s house, and made several more attempts without success. When they returned to the lab and continued to troubleshoot, they determined that the child’s wheelchair had caused interference and prevented the system from recognizing the child sitting in it. It took them about six months of re-coding and re-development to fix all the issues. This experience taught Ayanna to bring participants into the technology development process early. The formation and continued success of the company Zyrobotics has been rewarding for Ayanna. She and a student participated in a National Science Foundation program called I-CORPS that helps scientists bring their work out of the lab into the world to make a larger impact. The company produces and sells technology that comes directly from her research lab. They were able to show in the lab that their technology was adoptable for children with special needs and that it could be used effectively in their homes. The company then brought their technology from the lab into the hands of families. Ayanna has enjoyed receiving emails from parents thanking her for helping make these fun, engaging, and functional educational and therapeutic products they have been using with their kids. Italy is one of Ayanna’s favorite places to visit. She has been there a few times for different robotics research conferences, and she was impressed by the way the cities blend elements of the old and traditional with the new. For example, you can admire a beautiful, old building and then sit down at a modern coffee shop across the street. There is a sense of remembering the past as you embrace the future. The Colosseum was one of her favorite sites in Italy. In Ayanna’s lab, it is a tradition for everyone to participate in their annual group retreat. Each year the people in her lab pick the retreat activity, and the only rules are that it has to get them moving and be something different from their usual day-to-day activities. In previous years, they have played field laser tag and bumper car basketball. Though skydiving has made the short-list multiple times, Ayanna has been relieved it was never the top choice. Not only is she afraid of heights, but it’s hard as an engineer to not think about all of the ways things could go wrong when skydiving. Don’t ask for permission, ask for forgiveness. Scientists and engineers are creating new things and doing things that haven’t been done before. This means there is a risk of failure. Sometimes you have to just try something if you think it is a good idea because people can be hesitant to give permission when there is risk involved. If you believe in something, you should go for it. 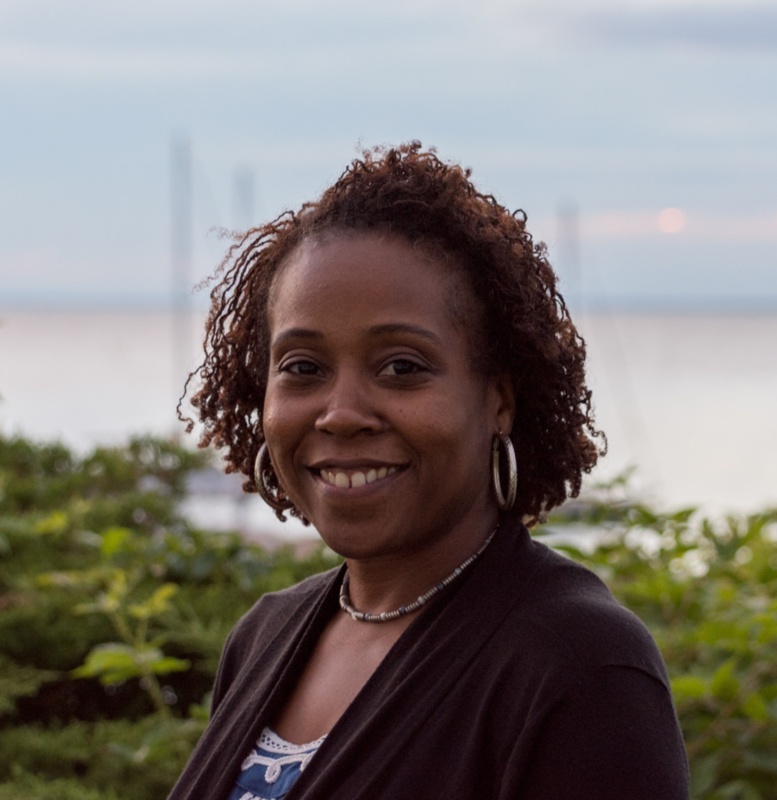 As an educator, researcher, and innovator, Ayanna’s career focus is on intelligent technologies that must adapt to and function within a human-centered world. Her work, which encompasses advancements in artificial intelligence (AI), assistive technologies, and robotics, has resulted in over 200 peer-reviewed publications in a number of projects – from assistive robots in the home to AI-powered STEM apps for children with diverse learning needs. She has over 20 years of R&D experience covering a number of projects that have been supported by various agencies including: National Science Foundation, NewSchools Venture Fund, Procter and Gamble, NASA, and the Grammy Foundation. In 2013, she also founded Zyrobotics, which is currently licensing technology derived from her research and has released their first suite of STEM educational products to engage children of all abilities. From 1993-2005, Dr. Howard was at NASA’s Jet Propulsion Laboratory, California Institute of Technology. She has also served as the Associate Director of Research for the Georgia Tech Institute for Robotics and Intelligent Machines and as Chair of the multidisciplinary Robotics Ph.D. program at Georgia Tech.